Scenic 89 tourism road sign photographed along Highway 89 in Garfield County as part of a project by the State Department of Highways to document Utah highways signs. Utah State Archives and Records Service, Outdoor Advertising Sign Inventories, Series 959, Box 3. Folder 15. Reproduction for publication, exhibition, web display or commercial use is only permissible with the consent of the Utah State Archives, phone (801) 533-3535. 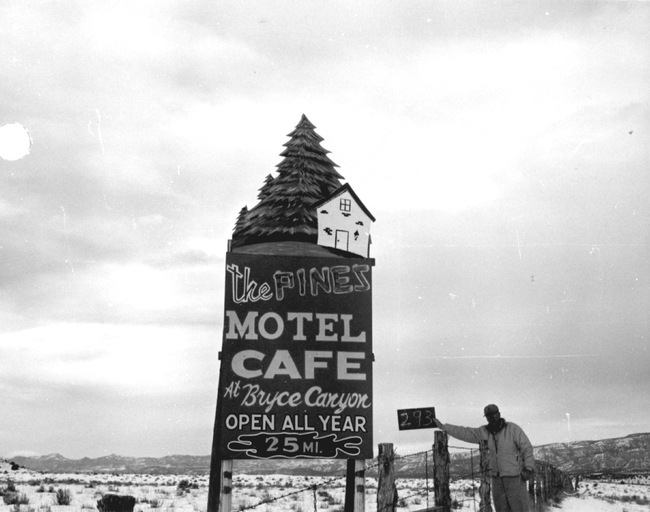 Scanned by Utah State Archives and Records Service using Epson GT-30000 scanner, at 800 dpi. Archival file is uncompressed TIFF (800 dpi); display file is JPEG 2000. 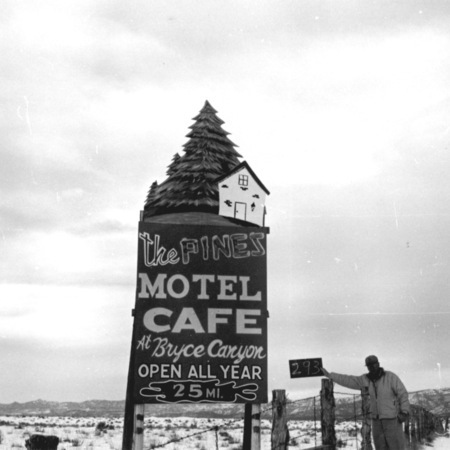 Utah State Department of Highways, “The Pines Motel Cafe road sign in Garfield County,” Highway 89, accessed April 22, 2019, http://highway89.org/items/show/250.